EPA 29 MPG Hwy/20 MPG City! CARFAX 1-Owner. Heated Leather Seats, CD Player, iPod/MP3 Input, Remote Engine Start, Onboard Communications System, Satellite Radio, Alloy Wheels, ENGINE: 2.0L ECOBOOST, Turbo, Back-Up Camera SEE MORE! Leather Seats, Power Liftgate, Heated Driver Seat, Back-Up Camera, Satellite Radio, iPod/MP3 Input, CD Player, Onboard Communications System, Aluminum Wheels, Remote Engine Start, Dual Zone A/C, Brake Actuated Limited Slip Differential, HID headlights, Heated Seats, Heated Leather Seats. Rear Spoiler, MP3 Player, Privacy Glass, Remote Trunk Release, Keyless Entry. ENGINE: 2.0L ECOBOOST (STD). 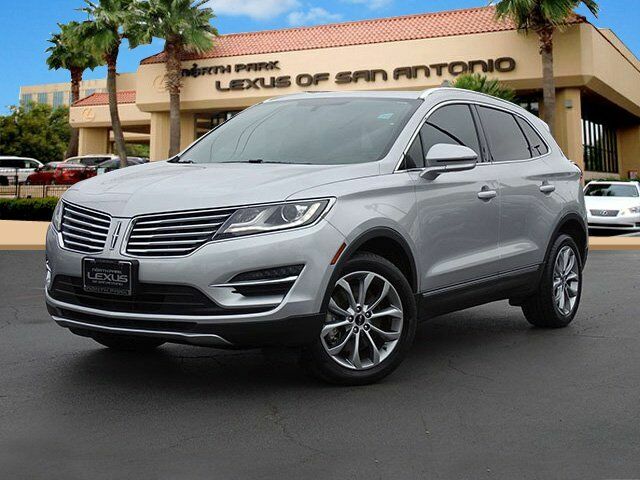 Lincoln Select with Ingot Silver Metallic exterior and Ebony interior features a 4 Cylinder Engine with 240 HP at 5500 RPM*. Child Safety Locks, Electronic Stability Control, Brake Assist, 4-Wheel ABS, Tire Pressure Monitoring System, 4-Wheel Disc Brakes Great Gas Mileage: 29 MPG Hwy. Edmunds.com explains "On long highway journeys, the MKC feels smooth and relaxed. And thanks in part to a standard active noise-cancellation system, it's also very quiet. ".